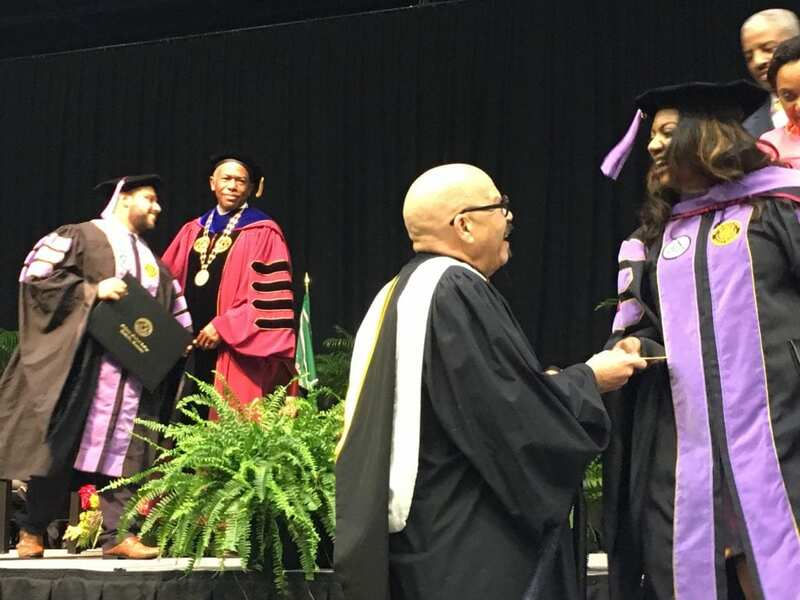 Comedian and syndicated radio show host Tom Joyner encouraged the Meharry Medical College graduates on May 20 to brand themselves as the medical college has branded itself as kind and timeless. “Giving back never goes out of style. Kindness is non-partisan. Philanthropy’s not a fad and neither are HBCUs. 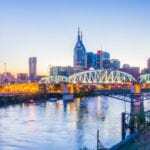 With or without universal healthcare, affordable healthcare, Obama care, Trump don’t care, institutions like Meharry grooming medical professions to roll up their sleeves and go where they are needed,” he told the students. He also shared that his great grandfather, Oscar, was a graduate of Meharry in 1909. The school was known as the Medical department of Central Tennessee College when “Doc” attended. Who would’ve known Doc’s great great grandson would have started a foundation that selected his alma mater for which to raise nearly $200,000 in scholarships during May? Or that his great grandchild would be the featured speaker at the commencement? This event was Joyner’s third and final historically black college commencement address. He addressed graduates of Tennessee State University on May 6. He is known for his distinct humor and energy used to bring awareness to underlying social/political issues in order to inform, educate, engage and empower his audiences. Meharry’s legacy continues to enforce kindness and inclusiveness. This was shown throughout the ceremony from the numerous shout outs to the parents and through the practice of letting two chosen loved ones robe the graduates as they became doctors, and the open invitation of any dentist or physician in the audience to participate in reading the pledges and oaths with the graduates. The graduation began with prayer before the President of Meharry Medical College, Dr. James E.K. Hildredth gave his remarks to the second graduating class under his direction since he was inducted into office in 2015. “Never dim your light as you pursue your life’s journey, Never ever stop dreaming, Never ever let your light not be shown so that others may see it,“Hildredth told the graduates. He asked the graduates to stand and salute parents and friends for letting them realize their dreams and walk in their purpose. Joyner asked the class what was their brand, what was their message, what will come to mind when people think about them.Generations of graduates have been where these students stood for the last 142 years as the Meharry Medical Graduating class of 2017 walked in to receive their medical degrees.